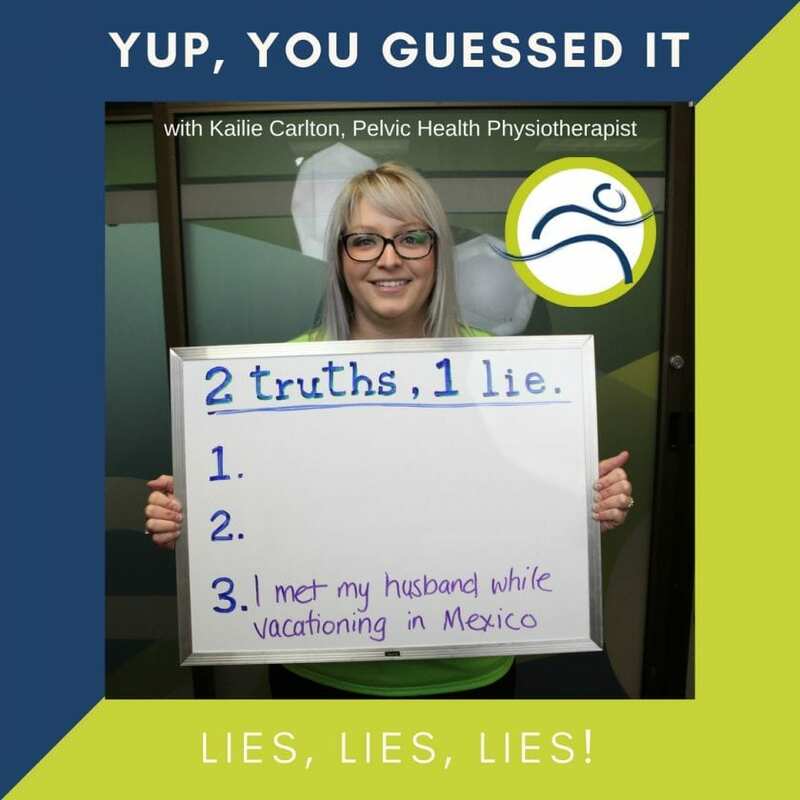 Leduc Physio; Our Staff: 2 Truths, 1 Lie - Kailie C.
Leduc Physio - Physical Therapy and Massage Therapy ServicesPhysiotherapyUncategorizedKailie’s Lie! Kailie’s Lie is #3! She met her husband in Red Deer, and they worked together during university. They were married just last year, August 2017. 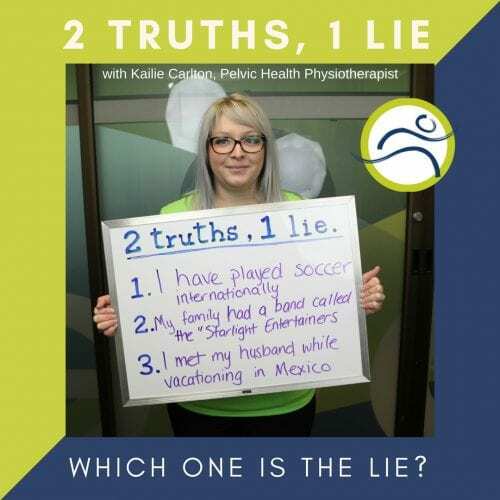 Kailie is the pelvic health physiotherapist at Leduc Physio. She treats men and women for a variety of different pelvic conditions. Women can be treated in the prenatal period and postpartum, as well as pre- and post-operatively for any pelvic-area surgery, hysterectomy, urgency/frequency issues, pelvic pain, or anything that just doesn’t feel right – regardless of how long symptoms have been present. Kailie also provides prenatal baseline assessments for pregnant mothers. Men also experience pelvic pain and incontinence, and can be treated for symptoms occurring in isolation, or post-operatively (most commonly following prostatectomy). To book an appointment with Kailie, book with her online HERE or give the clinic a call at (780) 980-5443. Pam Fouillard is our staff member this month, see if you can GUESS her lie too!